This is HI TECH brand high speed dial linking machine , 2018 latest model , this machine is more stable, and easier to operate . Comparing with the old model , this model machine has almost no vibration , even give the speed to the maximum , it is the best high speed dial linking machine, and machine is dry head , so there will be no oil leakage problem . 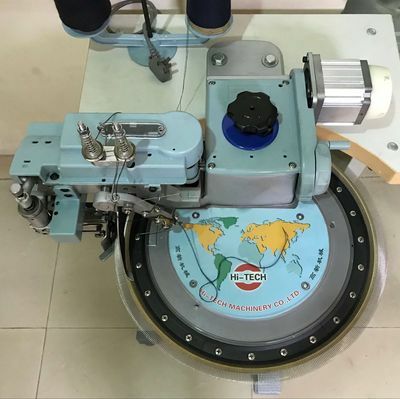 Machine also equiped with energy saving servo motor , each machine has a individual motor and table and stand , and a speed controller , you can adjust speed according to your operator's skilness and different styles . Nowadays, all sweater factories are facing labor salary incareasing , and margin has come down . So our Hi tech high speed dial linking will be a really good hand to help u to imprvoe your production more than 30% than the traditional dial linking machine , and electricty can save 70% than the traditional dial linking machine .